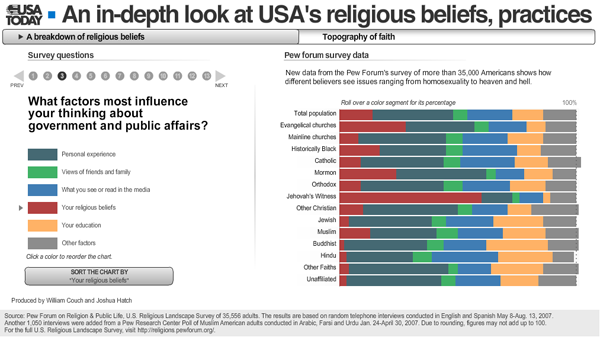 This USA Today interactive (view here) is focused on charting religious differences between faiths and geographic regions as reported by this Pew research study of over 35,000 Americans. 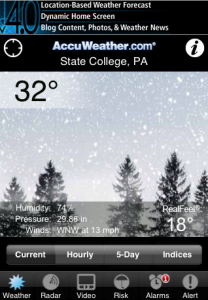 There is a pure charting tool and a map-based interface. Produced by Juan Thomassai. The Post did something with this data but completely different approach (here). Thanks Nelson! Most Americans believe that angels and demons are active in the world, and nearly 80 percent think miracles occur, according to a poll released yesterday that takes an in-depth look at Americans’ religious beliefs. The study detailed Americans’ deep and broad religiosity, finding that 92 percent believe in God or a universal spirit — including one in five of those who call themselves atheists. More than half of Americans polled pray at least once a day. 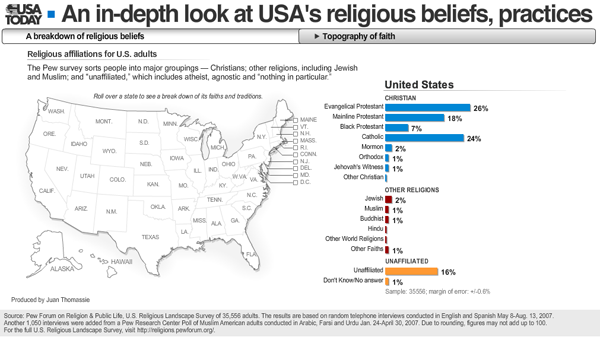 But Americans aren’t rigid about their beliefs. Most of those studied — even many of the most religiously conservative — have a remarkably nonexclusive attitude toward other faiths. Seventy percent of those affiliated with a religion believe that many religions can lead to eternal salvation. And only about one-quarter of those surveyed believe there is only one way to interpret their religion’s teachings.